Fan Page Robot's autoposting services can automate your social media marketing and put your blogs and social media accounts on autopolit. 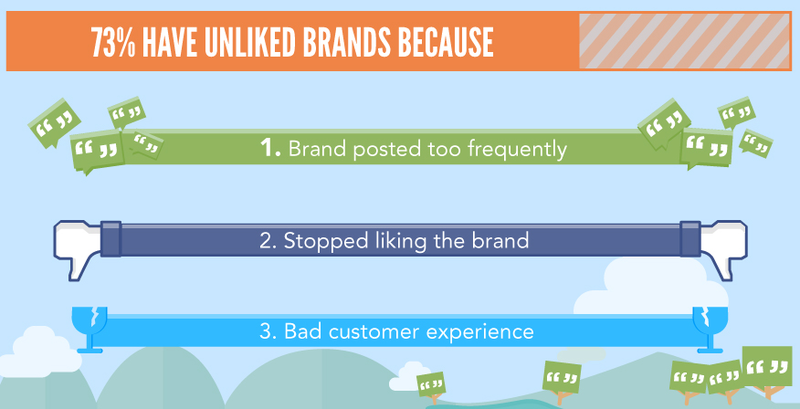 But there is a fine line between posting enough to engage your audience and not too much to irritate them. This is something that all of our users need to keep in mind. That's why we recommend that less is more. Use Fan Page Robot to curate better content and set the best number of maximum posts per day for autoposting. Best Practice: the ideal number of posts to make per day is around 1-2 posts on weekdays and not more than 1 post per day on weekends. Best Practice: retweets peak at around 5 tweets a day. Tweeting 2-5 times a day has shown that retweets actually go up by roughly 300% compared to tweeting once a day. 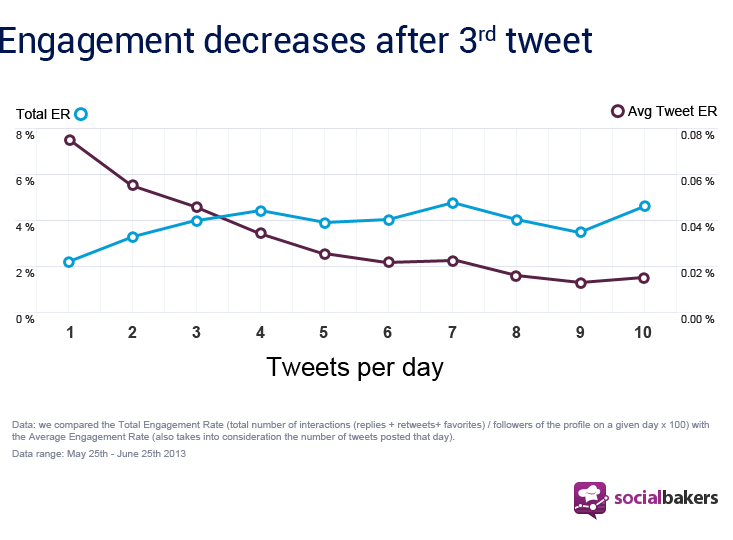 Bottom Line: the overall engagement rate doesn’t really go down even while tweeting as high as 30-50 tweets a day, though it doesn’t match the per tweet average that peaks around 5 a day. Best Practice: post only on weekdays. Bottom Line: a post a day on weekdays is all that is required. Posting on weekends is rather useless. 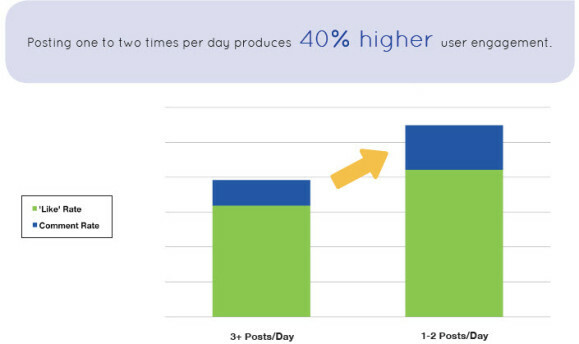 Study: Most businesses posts between 1-4 posts per day. Bottom Line: At an overall level you shouldn't post more than 5 posts per day on Google+. Study: Pinterest posts move much faster so a higher volume of posts can help. Best Practice: it is suggested to make 4-10 posts per day. Posting some vertical images helps capture the screen space more. The same as any other social networks, always add a few hashtags to your posts to reach a wider audience. Best Practice: the sweet-spot lies somewhere between 3-5 posts per month to 6-8 posts per month. Bottom Line: data clearly suggests a 100% increase in leads when the frequency of posts was increased to 6-8 posts per month. Best Practice: Try posting 1-2 times a day to reach the largest possible audience.